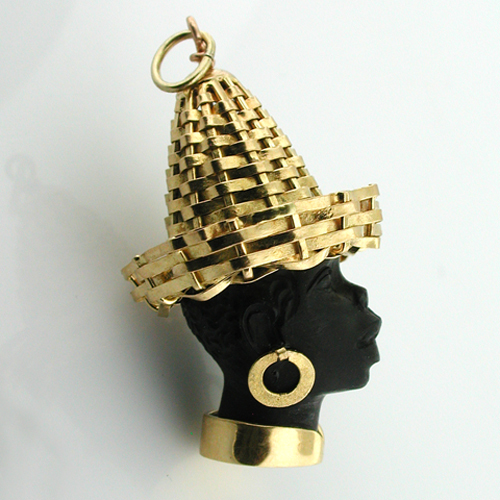 This great vintage ebony Blackamoor pendant/charm is a nicely carved woman's head. 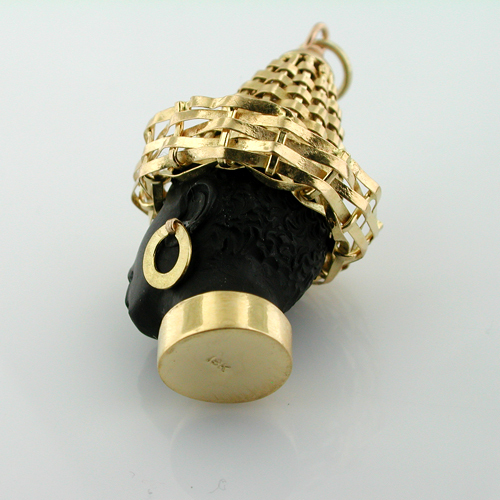 The straw hat, earrings and the bottom of the charm are made of 18K gold. 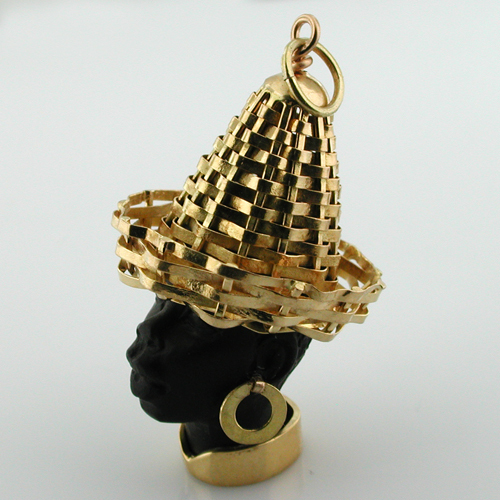 Marked 18K, tested and guaranteed to be 18k gold. Measures 1-1/2" x 15/16" x 15/16" (38mm x 24mm x 24mm) without loop and bail. 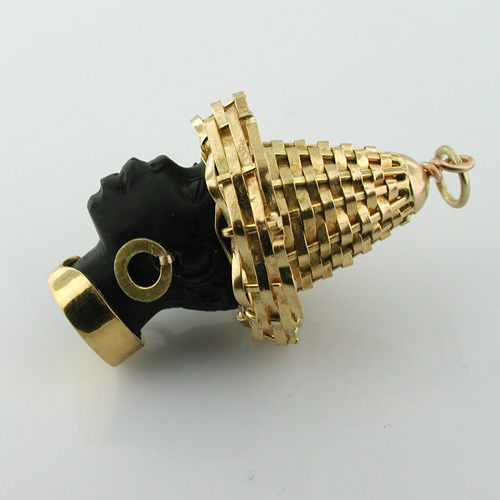 Total weight of the charm is 11.6 grams. 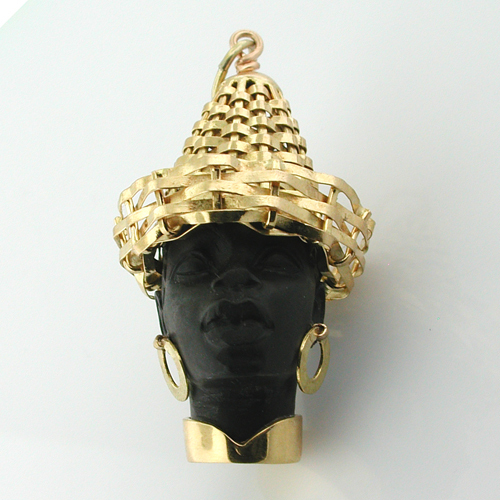 The Blackamoor is in excellent vintage condition.